A very special book list has been issued today – ‘Diverse Voices: The 50 Best Culturally Diverse Children’s Books’ has been launched by Seven Stories in conjunction with Frances Lincoln, whose Diverse Voices Book Award was founded in memory of Frances Lincoln (1945-2001) to encourage and promote diversity in children’s literature. The images and stories that children hear from the very beginning of their lives are instrumental in expanding their view of the world and in shaping their later attitudes. Born without any sense of the artificial divisions between people or hierarchies in their status, which may later be imposed, pre-schoolers are open-minded: they see animals in pictures and have no difficulty in knowing that they represent humans. They jump effortlessly over ‘barriers’ and differences. For that reason, making sure that everyone is represented in pictures and words is vital. Happily, there are some excellent examples of books that do this. 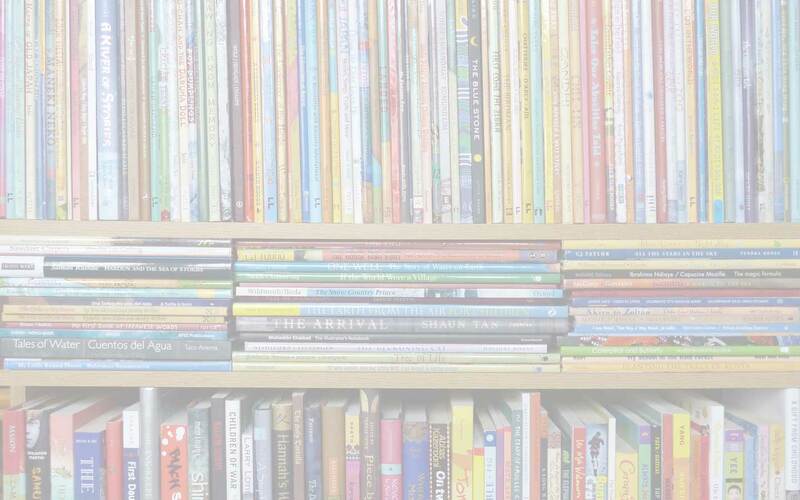 But, the campaign to make books for the very young has a long history – forty years and more from the earliest days of The Other Award – and the growth in the output of these titles has remained stubbornly slow. This selection shows what can be done and why it matters. Let’s hope it encourages writers, illustrators and publishers to add to it. This is a delightful selection of books with stories that are timeless and can be enjoyed time and time again. There is much to discover and pleasure to be gained through re-reading many of these titles missed on first readings. Whilst targeted at emergent readers, this selection works well with both less confident and more proficient readers. The text ranges from ‘wordless’ stories, to advanced picture books, graphic novels and short chapter books. The collection ensures there is something for everyone and richly promotes and celebrates the diversity of Britain. As children grow older and become more confident readers, they will want to choose what they read for themselves – so it’s all the more essential that they are given access to a wide range of books that will grab their attention and demand to be read. The books on this list showcase the tremendous variety and richness of the best writing for this age group – here are stories that will take children on journeys to new places, introduce them to different people, and widen their horizons. Yet what’s perhaps even more important is that young readers are also given access to those books that reflect their own lives and experiences, and the diversity of their communities – showing that children just like themselves can be heroes and heroines too. The publishing industry still has lots of work to do to improve the diversity of books for children, but the books on this list are great examples of the way forward. Young people on the cusp of adulthood are able to grapple and contend with ethical dilemmas and morality, contemporary literature aimed at this age has richly explored this leading to many dynamic and innovative works. Diverse titles focus around subjects like migration, immigration and nationality and show the ways these can become politicized and the impact of that happening. Philip Ridley’s playscript, ‘Moonfleece’ is a striking example. It offers a razor-sharp insight into the way narratives can be manipulated and the prejudice and inhumanity that can result from this. Being a playscript it is a work that young people themselves are able to engage with fully, witnessing firsthand the thoughts, motivations and feelings of the characters’ affected and leaving its readers and audience with heightened understanding. Just pulling out a few personal favourites from the list… From the Early Years selection: Handa’s Surprise by Eileen Brown (Walker Books) (my boys’ copy nearly disintegrated from overuse); Not So Fast Songololo by Niki Daly (Frances Lincoln); Ramadan Moon written by Na’ima B. Robert and illustrated by Shirin Adl (Frances Lincoln); Where’s Lenny? by Ken Wilson-Max (Frances Lincoln) – which I recently reviewed here on MWD along with Lenny Goes to School. For Young Readers, I’ve already mentioned Azzi In Between. You’ll also find The Colour of Home by Mary Hoffman, illustrated by Karin Littlewood (Frances Lincoln) and Mirror by Jeannie Baker. For older readers, I am so happy to see Candy Gourlay’s Tall Story included here – do read my recent interview with Candy. Also, Armin Greder’s powerful The Island (Allen & Unwin) and Little Leap Forward by Guo Yue and Clare Farrow, illustrated by Helen Cann. It’s no surprise to find Shaun Tan’s The Arrival (Lothian Books/Hodder Children’s Books) – and all the books in this final YA section (in fact, all the sections) are or are set to become classics – so rather than me getting carried away and listing all 50 books, head over to the Guardian website and see the list for yourself. You can read the full press release for the ‘Diverse Voices – 50 of the Best Children’s Books’ here on the Seven Stories website – and Book Packs and resources will be available to buy from the Seven Stories shop. All this week the Guardian is focusing on Diversity in Children’s Literature – could this become an annual event?!? You can find the full schedule here, along with some background to the initiative. Along with the booklist, start with John Agard’s podcast with riveting readings of his poems ‘Half Caste’ (included in the book list) and ‘Rumplestiltskin’; Julia Eccleshare’s article ‘What are the best books on immigration and adapting to life in the UK?’; and a visual introduction to the stunning new book of nursery rhymes from all over the world, Over the Hills and Far Away, compiled by Seven Stories co-founder Elizabeth Hammill and illustrated by 77 renowned illustrators – my review will be coming soon! Armin Greder, Azzi In Between, Candy Gourlay, Clare Farrow, Diverse Voices, Eileen Brown, Elizabeth Hammill, Frances Lincoln, Guo Yue, Handa's Surprise, Helen Cann, Hidden, Jake Hope, Jeannie Baker, John Agard, Julia Eccleshare, Karin Littlewood, Katherine Woodfine, Ken Wilson-Max, Little Leap Forward, Mary Hoffman, Miriam Halahmy, Mirror, Na’ima B. Robert, Niki Daly, Not So Fast Songololo, Over the Hills and Far Away, Ramadan Moon, Sarah Garland, Sarah Smith, Shaun Tan, Shirin Adl, Tall Story, The Arrival, The Colour of Home, The Island, Where's Lenny?. Bookmark.